TOMS RIVER, N.J. — Marine Cpl. Thomas Saba could have been discharged in April. Instead, he chose to extend his tour with the Marines so he could serve with his comrades in Iraq — a decision that ultimately led to his death Feb. 7, just two weeks after he arrived in the country. “He didn’t have to go to Iraq. He chose to go. He wanted to be with his brothers,” Barbara Saba, the Marine’s mother and a Toms River resident, told the Staten Island Advance. Saba was with four other Marines and two Navy personnel on a helicopter mission to evacuate casualties when their CH-46 Sea Knight helicopter went down, Sgt. Douglas Paul of the Marines’ 6th Motor Transport Battalion in Red Bank told the Asbury Park Press. As of the afternoon of Feb. 10, the U.S. Department of Defense had not officially identified Saba as one of the victims in the crash in Al Anbar province. News of the crash came at the same time that an insurgent group linked to al-Qaida posted a Web video showing what it said was the downing of the helicopter. Anthony and Barbara Saba said they last spoke to their son on the telephone Feb. 4 while they were visiting central Florida, which had been ravaged by tornadoes days before. “He was worried about us,” Barbara Saba told the Press. “And there he was in Iraq,” said her husband, Anthony. Thomas Saba lived most of his life in Staten Island, where he grew up and graduated from Susan Wagner High School, but he stayed at his parents’ Toms River home for about four to five months before starting boot camp in 2002. Thomas Saba’s aunt, Sonja Debs, told the Staten Island Advance that she had tried, and failed, to dissuade her nephew from going to Iraq. “It was something he wanted to do. He said, ‘Do you want 9/11 to happen again? I’m going to fight for my country,’ ” Debs said. Along with his parents, Thomas Saba is survived by a brother and two sisters. Saba was worried about his parents, Anthony and Barbara Saba, because they were vacationing in central Florida, which had been hit by severe tornadoes, his parents said. They were safe. Saba called his parents back in Toms River that day, Feb. 3, and spoke to them directly for the last time. But the voice mail and one before it remain on the Sabas’ cell phone. Thomas Saba, 30, was one of seven troops killed in a helicopter crash northwest of Baghdad on Wednesday. In an interview Monday, Saba’s family remembered him as a doting uncle, a practical joker who nonetheless was quick to help people, and a man who died standing up for what he believed in. “He was our everyday hero,” said his sister, Laura Saba of Highlands. “He always made you laugh,” said his other sister, Mary Ellen Ditchkus of Brick. Family members told stories of Thomas helping others when their cars broke down, planting flowers in his parent’s yard just to show he had been there, and spending a month with a friend — who “kidnapped” him, his family said — to support her after she left her husband who had been battering her. “He was very, very loved,” Barbara Saba said. Saba, who grew up in Grymes Hill on Staten Island, enlisted in the Marines in April 2002 after losing friends in the terrorist attacks of Sept. 11, 2001. He spent most of his five-year commitment with the Marine Medium Helicopter Squadron 262, The Flying Tigers, in Okinawa, Japan. When his parents moved to Toms River about a decade ago, Thomas remained on Staten Island, but he lived with them in Toms River for about four or five months prior to starting boot camp in 2002, and when he was home on leave, they said. Saba was scheduled to be discharged in April, but instead extended his duty by seven months so he could serve in Iraq with his unit. He had been there for 10 days and requested to serve on his first mission when the CH-46 Sea Knight helicopter he was in crashed. Saba was the only one of his unit on board. He had volunteered for the casualty-evacuation mission because the newly arrived squadron had not yet begun its missions. “He thought you had to stand up for what you believed in. He was like that,” Anthony Saba said. Anthony Saba said all his son’s favorite movies, such as “Braveheart,” had a theme of good versus bad. Over Christmas, Saba was home in Toms River for what his mother called “the best two weeks of our lives.” She said her son made her light up the whole house and put out all the decorations at the home in the Lake Ridge section. Laura Saba drove her brother to Newark Airport when his leave was over. Because his flight kept getting canceled, she brought him to her Highlands home for a day’s stay-over. She said that in that time her brother explained to her why he wanted to serve in Iraq. “What we are protecting is the freedom to speak up,” Laura said her brother told her. Laura Saba said that a woman at the airport helping Saba with his flight had a son serving his third tour in Iraq, and asked Saba why he was going there. Saba, who was single, planned on becoming an elementary school teacher when he came home because he believed too many children lack positive male role models, his sister Mary Ellen said. Barbara said her son was a role model for his three nephews and one niece. He was the godfather for two of them, as well as for his best friend’s daughter, she said. Saba is also survived by his brother, Anthony, who lives in Seoul, South Korea. Toms River Mayor Paul C. Brush met with the Saba family Monday. He took a photo of Thomas Saba from their dining room wall to copy, and said he would hang the copy on the “Wall of Heroes” at town hall. “You have a lot to be proud of,” Brush told the Sabas. Wake and funeral arrangements have not been finalized. The burial will be in Moravian Cemetery on Staten Island, the family said. 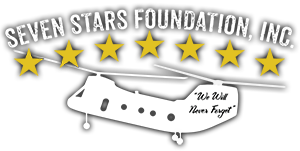 Maj. Gen. Jim Simmons, deputy commander for support, Multi-National Corps-Iraq, told Stars and Stripes that the recent crashes of helicopters were the result of a mix of mechanical problems and enemy gunfire and did not signal a need to limit helicopter flights in Iraq. Simmons said, however, it did not appear that the helicopter that Saba was on was struck by a shoulder-fired missile. The use of helicopters to ferry troops and supplies — a prime mission of Boeing’s twin-rotor CH-46 Sea Knight — throughout Iraq has increased enormously over the past two years, owing mostly to the dangers of roadside bombs. The increase in missions has also increased enemy opportunities to down aircraft. Simmons suggested that U.S. aircraft would be even more enticing targets now that coalition forces were increasing troop numbers as part of a plan to bring stability to Baghdad. NEW YORK — Two service members from the New York City area who were recently killed in Iraq were remembered during separate funeral services Friday. Sgt. James Regan, a 26-year-old Army Ranger, was killed by a roadside bomb on Feb. 9. Marine Cpl. 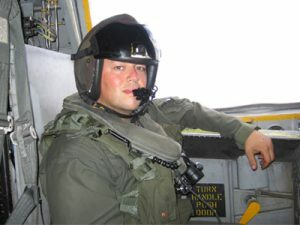 Thomas E. Saba, 30, died in a helicopter crash on Feb. 7. Regan, of Manhasset, joined the Army in 2004, served in Afghanistan for two tours and was on his second tour in Iraq. He was a graduate of Chaminade High School in Mineola and attended Duke University, where he played for the lacrosse team. Regan was engaged and intended to go to graduate school. Friends and family said he could have had a career on Wall Street but decided to serve his country instead. Regan’s funeral was held at Saint Mary’s Church in Manhasset. His family has said he is to be buried next week at Arlington National Cemetery. Saba grew up on Staten Island and joined the Marines in 2002 after losing friends in the Sept. 11, 2001 attacks. His five-year commitment was primarily with the Marine Medium Helicopter Squadron 262 in Okinawa, Japan. He was supposed to be discharged in April but extended his duty for seven months to go to Iraq. He’d been in the country for less than two weeks when he and six others were killed in a helicopter crash northwest of Baghdad. Military officials, who originally said mechanical failure may have been to blame, have said since the CH-46 Sea Knight helicopter was shot down by enemy fire. Saba’s funeral was held at Saint Teresa’s Church in Staten Island; he was buried afterward at the borough’s Moravian Cemetery.